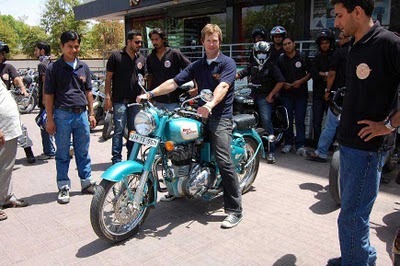 It was one bright sunny morning when Jonty Rhodes the ace cricketer ventured out on the tarmac instead of the pitch. Donning a helmet he decided to ride out on the Royal Enfield Classic 500 in Jaipur. 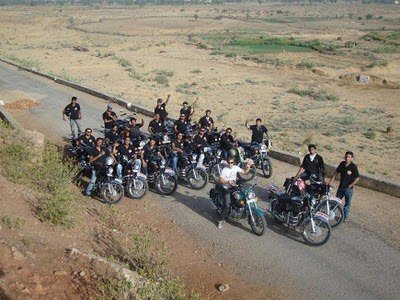 Meeting up with some of the local Royal Enfield riders and some help from the Royal Enfield Brand Store at Jaipur he set out on a ride out from the Sheraton Rajputana, 25 buddies alongside him on Royal Enfield motorcycles. The ride back into the city asked for a traditional Indian scrumptious lunch at a restaurants and experienced another spicy side of India. 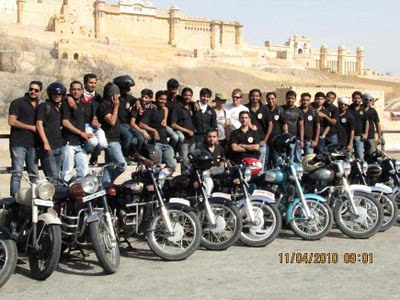 The ride culminated at the Royal Enfield Brand Store in Jaipur totalling about 50 kms. He also saw some famous landmarks around the sesert state capital namely Nahargarh, Jaigarh, the Jal mahal palace and the MI Road. Jonty had earlier visited the Royal Enfield factory in Chennai and their Brand Store in Chennai and it was here where he was smitten by the graceful motorcycle, which eventually led him to actually experience the Bikers lifestyle astride the Royal Enfield motorcycle. 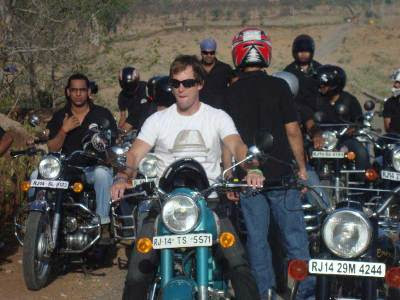 He was visibly bowled over by the experience he had on the classic 500, and was heard saying he now had Royal Enfield in his blood and would do everything to do his bit for spreading the Royal Enfield motorcycling experience.